There’s one of the clearest examples of the effect of the “Great War” on Tolkien’s narrative. Surely something like that was the experience of every combat soldier going home – the strangeness of returning to a familiar place, but finding you somehow don’t fit anymore. The average veteran accustoms himself to it after a while, but (as I am told) the wounds never entirely heal. One always feels something of an outsider, the carrier of a dark secret. I’ve blogged before about the widespread misperception (as I perceive it) that The Lord of the Rings is actually about environmentalism. This view allows non-Christians to reinterpret Tolkien’s plainly Christian imagery – nowhere more visible than in the appearance of the Apocalyptic Eagle after the last battle. 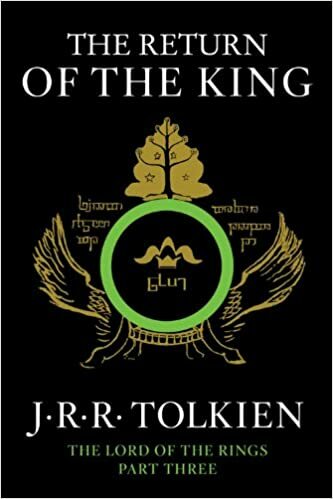 There’s some warrant for the environmentalist view – Tolkien was constitutionally a Luddite, who loathed the industrialization encroaching on Oxford in his time. He was a tree-hugger before it became fashionable, and felt deeply the loss of any tree, especially one he considered a “friend.” But look at this line from the Scouring of the Shire chapter: ‘Indeed the waste in time will be waste no longer, and there will be people and fields where once there was wilderness.’ Tolkien’s environmentalism was focused not on virgin nature, untouched by man, but on low-tech cultivation – farms and small hamlets. That, for Tolkien, was a natural environment – soil tilled by the sons of Adam. Peter Jackson’s excuse for leaving the Scouring out of his movie was plausible – it would indeed have changed the narrative arc. But I can think of a couple more possible reasons. The second is even more awkward for a good liberal. What is the Scouring of the Shire but a nativist backlash? From a politically correct perspective, the hobbits were a bunch of racists, living fat and happy in their segregated district, mistrustful of outsiders. Along came “Sharkey” with his vibrant population of beautifully diverse orcs and men, and tried to forcibly integrate the Shire. When the bigoted hobbits resisted, he had no choice but to enact legislation to enforce equality and social justice. That’s how Jackson probably would have had to handle it, in the current climate of opinion. Better just to skip it over. Previous PostGreenlandic coffeeNext PostDid OT Writers Misunderstand God’s Kindness?